It's always a pleasure to host award-winning novelist Marilyn Baron here at The Romance Dish. I've had the pleasure of getting to know Marilyn at conferences over the years. She's a lovely lady who just happens to write wonderful books! A native of Miami, Florida and a graduate of the University of Florida, Marilyn currently lives in the Atlanta, Georgia area. You can find more information about Marilyn and her books at her website and connect online at the following locations. Thank you for joining us today, Marilyn. The floor is yours! Turns out that in every one of my eight books, my setting was a place I’d either lived or had visited. That wasn’t intentional. It just worked out that way. Am I the type who likes to stick close to home? Not really. I love to travel and I tend to set my novels in places where I’ve been. 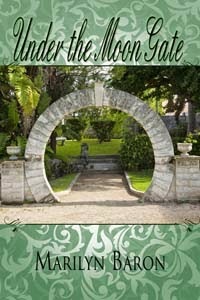 The only exception was my WW II historical, Under the Moon Gate, where the story was set in contemporary and WW II Bermuda. I have been to Bermuda 10 times but never to 1940s Bermuda, so I had to do research for that part of the novel. However, it still counts, since I am pretty familiar with the setting. The prequel, Destiny: A Bermuda Love Story, was set at the time of Bermuda’s discovery in the 17th century, so I had to do research on that book, but it was still a location I had been to, even if at a much later date. The Edger, the humorous women’s fiction I wrote with my artist sister, was set in Ponte Vedra Beach, Florida, her hometown. Murder at the Outlet Mall, a shopping suspense tale, was set in St. Augustine, Florida, a place I’m very familiar with. Memory Lane, the musical about Alzheimer’s I co-wrote with my sister, is set in South Beach and since I’m from Miami, I’m also familiar with that location. 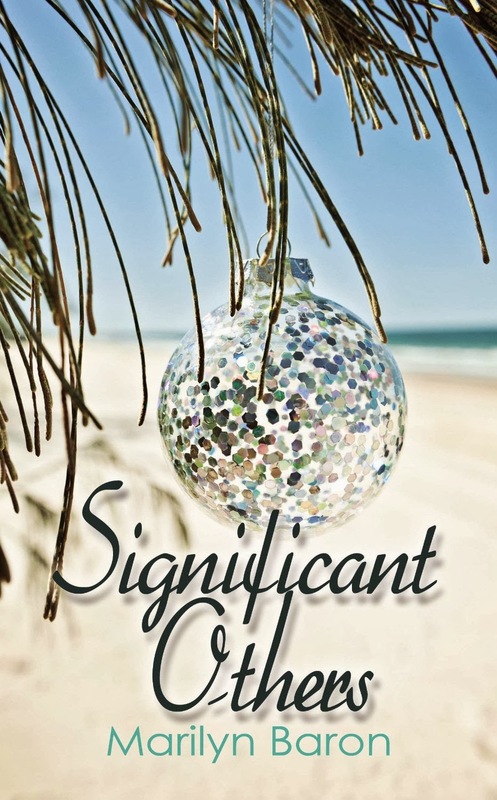 Significant Others, a humorous women’s fiction set in a retirement community in Boca Raton Florida, was really patterned after a retirement community where my mother lives in Pembroke Pines, Florida, so, other than interview some of her contemporaries about finding love a second time around, I didn’t have to do much research. Sixth Sense, Book One in my Psychic Crystal Mystery series, takes place in Atlanta, Sydney, Australia, and a fictional seaside community called Casa Spirito. However, it was patterned after a real psychic community in Florida, which I’ve visited. I live in Atlanta, and I got the idea for this book when I sat next to a psychic on the long plane ride to Sydney. Book Two in the series, Homecoming Homicides, my latest book, a dark romantic suspense with a humorous twist, is set in a small college town in North Florida I called Graysville, but it was patterned after the city where I went to college—Gainesville, Florida. Book Three in the series, Murder on the Repositioning Cruise, will take place on a cruise ship on a transatlantic voyage. I’ve been on many cruises. In fact, last year when my husband and I took a Mediterranean cruise, I took a behind-the-scenes tour of the ship specifically to do research for the book. The book I just sold to The Wild Rose Press, Stones, perhaps most exemplifies the “Write Where You Know,” axiom. It starts out in Atlanta and goes to Palm Coast, Florida, where I own a beach condo; alternates to Miami and Coral Gables; and flashes back to Florence, Italy, where I studied for six months in my junior year of college. Another book I’m working on, a humorous women’s fiction, also starts on a cruise ship and is set in a small island community in Florida, much like Palm Coast. One anthology to which I contributed a short story, was called Aspen Exposé. At the time I wrote the story, I had never been to Aspen, but because I had a story in that anthology, and I had researched Aspen, I decided to visit and really enjoyed it. I’ve also written four short stories (about angels and demons) for TWB Press, and although I did have to use my imagination when crafting the paranormal elements of the story, they were all set in places I’d either lived or visited: the Atlanta area; Palm Coast, Florida, and New York City; Las Vegas and Roswell, Georgia. So I guess I’m a hometown girl at heart. I’m going to have to think about where I set my next book. Maybe I should break tradition and set it somewhere I’ve never been. What about you? If you’re a writer, do you set your books in familiar locations? If you’re a reader, do you like to read about places you’ve been or travel to new worlds? 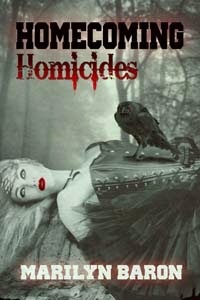 Marilyn is giving away one PDF copy of her new book, Homecoming Homicides, to a randomly chosen person who leaves a comment on today’s post. 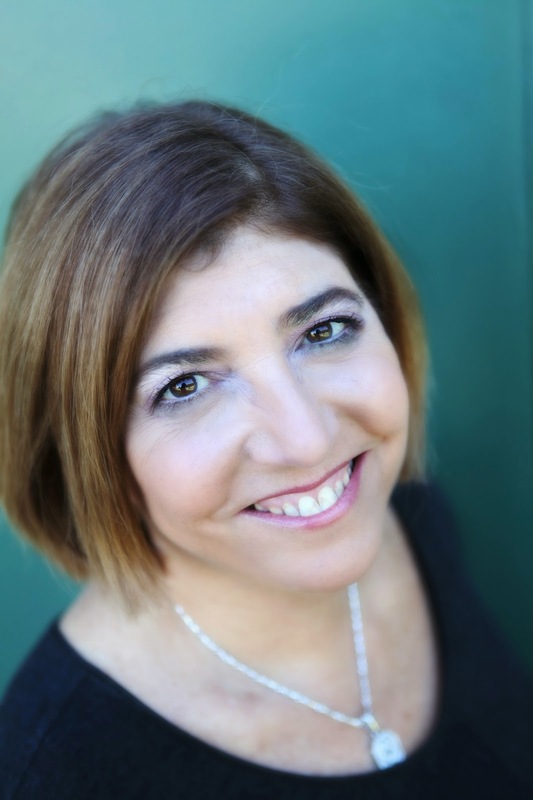 Professional crisis manager Philippa Tannenbaum is spokesperson for the law enforcement task force charged with solving a high-profile case. She never dreams her position as Homecoming Pageant Director and her second-place finish in the previous year’s competition has placed her on a serial killer’s hit list. Always a runner-up in life, she wants to finally come in first at finding the killer targeting the current crop of beauties. You've got some great stories here, Marilyn and wonderful variety! I can identify closely with Write "Where" You Know. My husband's job took us to several posts and we've done a little traveling as well. To date, I think every setting I've written has been a place I've visited or lived. I still have a few locations to go, so I guess I'd better get to writing. When I travel to a location I enjoy I want to write about it and I enjoy reading books by other authors set in locations I've visited or want to visit. Thanks for your comment. Wow! I'm impressed by the variety of genres in which you have written. Since I am mostly an armchair traveler, I love books that take me to places that I've never been. At the same time, I'm a Southerner, born and bred, and Southern literature is my major academic field. I have a special affection for books set in the Southland when the author gets Southern culture right. Janga, Marilyn defines "multi-talented." If you haven't read her books yet, I recommend you give them a try! PJ, you are so sweet to say that. Thank you! Marilyn is very good at creating a sense of place, isn't she? Thanks so much for commenting. I am not sure I'm an official Southerner, since I was born in Miami, which is Southern, yet not, but I've lived in Atlanta for so long I'm at least an honorary Southerner and proud of it. I say y'all and all y'all and hey. Does that count? So when I set my books in the South I try to be true to the culture but I know the kind of literature you mean and it is wonderful when done right. I appreciate you visiting the blog. I am so glad to be back on your wonderful blog. Thanks for having me. I appreciate what you said about sense of place. I really try to get that right. In Under the Moon Gate, Bermuda was almost a central character in the book. And I have to try harder to make that happen because I'm coming from a frequent visitor's perspective not a native. But I really hope that anyone who reads that book will want to visit Bermuda because it is an amazing place. If you want to hop on the next flight, then I've done my job. And I'll be right there behind you. I have an urge to return there. How nice of you to visit and comment. I love the idea of Casa Spirito. It is patterned after a real psychic community Cassadaga, in Central Florida, although it has the advantage of being a seaside community, not a landlocked one. That's what imagination can do for you. For your scifi romances it would be difficult but you can make a fictional place seem real. Thanks for the nice things you had to say. I’m a ‘Write what you know’ gal! I'd call that an excellent reason for an exotic vacation! Thanks for stopping by, Cait! I have read and loved Kidnapped Hearts. Isn't it amazing how so many writers Write Where They Know. And that gives everyone an opportunity to travel to places we've never been. Thanks for commenting. I haven't written where I know yet -- My books have all been set in London during the Regency period and I've never been to London. I did do a lot of research of course. I'm currently toying with an idea of a contemporary set in Washington DC which I have been to. I think it has to be a bit easier writing a setting one is familiar with by visiting the area. I guess I'll find out. LOL. Hi Katherine! Seems like Washington, DC would have a lot to offer a contemporary setting. Good luck! I love London but of course we can't be there during the Regency period. But I'm sure with all your research your books would be the next best thing to being there. A contemporary set in Washington, D.C. sounds great. That would be a change, but I think change is good. Thanks for commenting. I like to hear about new places and also places I am familiar with ..I live near Chicago and like the books that describe different locations I have been to and love ie Wrigley Field I have not read any of your books YET but plan to check them out...always like a new author..
Donna, I always think it's fun to "visit" or "re-visit" places I'm familiar with through the pages of a book. I love Chicago! I grew up across the lake and spent a lot of time in the city during my growing up years. Thanks so much for visiting and for your comment. I have never been to Chicago except to the airport but everyone who goes there loves it. I would love it if you went to my web site at www.marilynbaron.com to see if there's somewhere you want to go in one of my books. Thank you. What you're saying makes complete sense to me! Before I started writing, I thought I'd enjoy writing about places I *wanted* to go but hadn't gone to. After trying to get a feel for places on the internet, I came to realize it's so much easier to convey the character of a place that you already know. A place really is part of a character in many books! A place really is part of a character in many books! Thank you for commenting. I love when a place becomes almost a character in a book. But I have heard Nora Roberts say she does her research on the Internet and doesn't necessarily travel to her locations but she is a genius at making a place come alive for the reader. So it can be done, but it is so much easier, like you said, to write where you know. Marilyn, I admire authors who can research a place they've never been then make it come alive for readers. I recently read a historical that was set in the valley where I lived for most of the past 18 years. I wrote the author complimenting her on how she made the area come alive and how she nailed the "feel" of that region. I was sure she had spent time there. Turns out she hasn't. Everything she knew about the area she had learned on the internet! I had that feeling after I read one of Patricia Cornwell's books. I've actually read them all but one in particular was set in Miami, where I'm from, and I have no idea whether or not she's been there or lived there but it was so realistic down to the description of the blades of grass. I almost wrote and told her how impressive I thought it was. I probably should have. As an author, I love to hear from readers. We apologize to anyone who has had trouble accessing the site today. Our domain name host is having server problems and it's affecting the connection to our site. They are working very hard to fix the problem. We appreciate your patience! Thanks, PJ for letting us know. I like familiar places... It is fun to read about places that I know through a character's eyes. I agree with you. I like reading books that reference or are set in places I know because it makes me feel comfortable in the place and it is nice to see your hometown or a favorite place highlighted. ATTENTION: Due to the server issues, a lot of people have been unable to access the site today. Because of that, we are going to re-post Marilyn's blog this Sunday, February 23rd. So glad to see Marilyn here! Thanks for sharing your words with us. Thanks, Nicki. Glad you stopped by. I like stories whether or not they are set in a place I familiar with. That being said, being familiar with the setting of the book makes it all the more enjoyable. To be reading a story and knowing exactly where the character is standing and what the surroundings are draws you more deeply into the story and makes it all the more real. We have visited New Orleans twice. I have read several series and individual books set there. Having been there makes all the difference. You know the unique flavor of the city which is something that must be experienced to really "get." You know what the streets, the neighborhoods, the people, getting around on the trolleys, and the essence of the city are. You are with the characters every step of the way. You can read a book set anywhere and enjoy it. Being familiar with the setting, multiplies the enjoyment all the more. By the way, we are headed to UF for the dedication of the new conference center for the School of Forestry. My husband is a Gator. That has me interested in reading HOMECOMING HOMICIDES. I should be familiar with some of the settings for the book. You really captured the reasons that being familiar with a location enhances the story. You really know exactly where the character is standing. I like that and your other observations. But, you're right, you can enjoy a book set anywhere. Your husband is a Gator! That's great. You will definitely note a lot of similarities between "Graysville" and Gainesville. I went to school there, as did my husband and two daughters and my brother- and sister-in-law and very good friends live in Gainesville. So we are there frequently. At one time we had seasons tickets to the Gator football games so it seemed we were there every week. Thank you so much for your comments! We retired from the Air Force and moved to TN. The first season when TN played Florida we couldn't believe the rivalry. We live next to Steve Spurrier's hometown and they still are angry with him for not going to UT. Kind of foolish after all these years. He graduated from UF the same year my husband did. I didn't realize Steve Spurrier's history in Tennessee. We were upset when he left Florida as a coach. He was a player a few years before I got to UF. The college football rivalries are amazing.